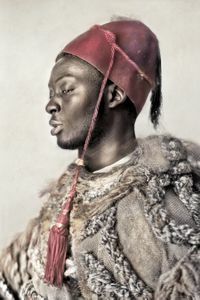 This ongoing portrait series signifies the importance of African settlers in Europe throughout history and present day. 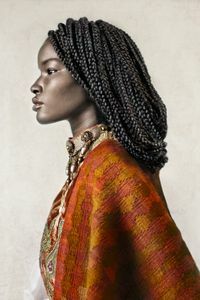 With these portraits of African immigrants (non- models) I wanted to show dignity, richness, beauty, and strength as well as remind viewers of the important contributions of Africans in European history. 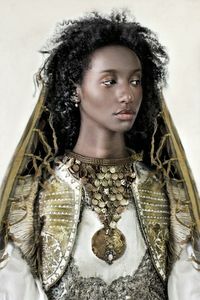 The work references the art of the Orientalist movement, and is inspired by the watercolor paintings of Josep Tapiro Baro in Tangier, Marocco. For centuries the West has often gazed at Africa looked through a lens which distors the reality of the continent's people and it's history. 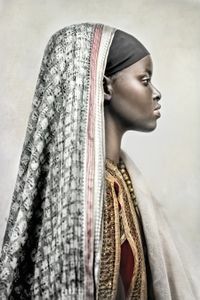 With the current surge of African immigrants in the West, these preconceived notions & stereotyping unfortunately often remain and are fueled by a lack of knowledge, understanding and the fear of the unknown. 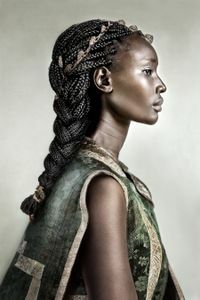 My Zimbabwean husband experienced this too when we moved from the African continent to the Netherlands nine years ago. 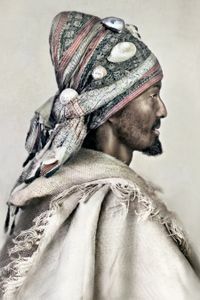 This sparked my interest in how African people live in other places around the world and started this line of inquiry that interrogates how African people are presented in history and present. It is my hope that people are inspired to change their views, the way they see the world and each other.